Mike Gleason: It is my privilege now to be joined by a man who needs little introduction, Marc Faber, editor of The Gloom, Boom and Doom Report. 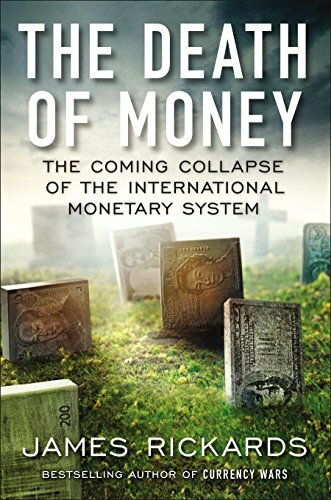 Dr. Faber has been a long-time guest on financial shows throughout the world, and is a well-known Austrian economist and investment advisor, and it’s a tremendous honor to have him on with us today. Marc Faber: Well, it’s my pleasure to be on your show. Thank you. Marc Faber: That’s a good question and I think everybody’s interested in the answers and everybody has a different view, but I have maintained that the January 26th high for the S&P up 2,872 was like a mirror image of the low on March 6th, 2009 when the S&P was at 666. At that time, everybody was bearish and leading strategy and I don’t want to name who, but they were predicting for the S&P to fall to 400. And what happened is that, because sentiment was so negative, and the market was so oversold, the market turned around and actually on very poor earnings, started to go up. And now, we have, in January, a high, when everybody felt that the market would go higher and what then happened is that on good earnings, stocks didn’t move up, but started to go down. So, I think we are in a situation where it is likely, it’s not yet a hundred percent sure, in order to get a clearer picture, if a major bear market has started, we would have to make a low below the February low, but that hasn’t happened yet. But looking at the market and the market action and the momentum and the number of stock that are actually making new lows, I’d say there is a fair probability that the market will disappoint point very badly. Mike Gleason: Dr. Faber, it seems to us that the fate of precious metals markets is tied pretty closely to stock prices, at least in the near term. We lack either fear or greed to drive any trend change. Here in the U.S. there’s very little demand for safe-haven assets. If you look at sentiment in the metals markets you’ll find that the greed factor is also missing. 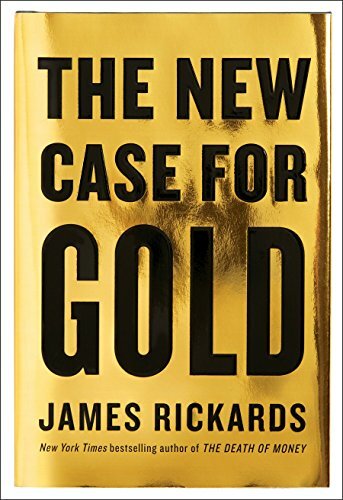 Now that could all change if gold and silver can catch investors’ attention by significantly outperforming stocks for a while longer or if we get the long overdue correction stocks. Marc Faber: Well, I think there is a lot of disinformation, and usually when stocks go down, some fraud comes to the surface. And I expect it to happen, and I mean in a major way. Whether the fraud is related to some corporation, which I think is quite likely, or whether it’s related to the fraud that is going on in the pension fund system, where pension funds are grossly underfunded, and, in the future, will either have to increase contributions or reduce distributions. I think these are items that could happen. Secondly, the public may start to lose faith in the system because of the political situation. I think the political situation in the U.S. is very bad, and If you read about what has been happening at the FBI, the CIA in Washington, you have to scratch your head whether that is all possible in a system that is supposedly functioning. It’s like Watergate, but actually magnified. So, I think there is a possibility that investing public loses interest in financial assets. You talked about precious metals. I think there has been, just recently, a huge short position in the dollar. In other words, speculators, 15 months ago, they were heavily long in the dollar, and now they are very heavily short dollar. I think the dollar may rebound and as a result, precious metals may not move up right away. I think, eventually, they’ll move up, but for the next, say, one or two months, I don’t see how precious metals would rally significantly. Marc Faber: My view is that, actually, the Trump administration, for which, I would have voted for Mr. Trump, but he proves every day that he’s a completely clueless individual. He says one thing and then does something totally different. He changes his view all the time. And I think, quite frankly, there is a trade war which maybe won’t happen, but if there is one, the U.S. will be the big loser, because consumer prices in the U.S. will go up and that is not desirable at the present time, as the Fed is already tightening and interest rates have been rising, so what it will mean is, if there is a trade war, initially the dollar will actually rally. But this is precisely what the U.S. shouldn’t have, a very strong dollar. By doing that, they have actually managed to get them closer into an economic and political alliance. And the goal of these two countries, Russian and China, is probably to gradually move away from a dollar system. I’ll tell you, I personally, I’m not a U.S. citizen, I’m just an international observer of economic, financial, and political trends. I cannot imagine a foreign policy that would be worse for the U.S. itself than what the Neo-cons have engineered. I just can’t imagine. Mike Gleason: Yeah, that’s a very fair point, there. Speaking of oil and the petrol dollar, oil prices have been moving up steadily for a while now. Do you envision a broader commodity rally taking place here, and then maybe could that benefit precious metals in the long run?